Writer Wednesday: Meet Louisa Cornell! 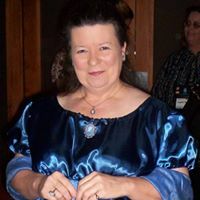 This week I’m happy to bring you Louisa Cornell, Regency romance author and a fellow member of The Beau Monde (the wonderful Romance Writers of America group for authors of Georgian and Regency romance), and a contributor to the fabulous blog, Number One London. Wahoo! Louisa’s here to tell you a bit about herself and her latest release, Lost In Love, so without further blathering by me, I’ll let her take it away! I love historical romances set in the Regency era. 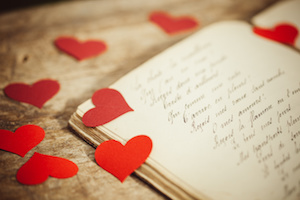 I love the manners, the tricky rules of behavior, men in breeches and boots, horses and carriages, stately country estates, and the first stirrings of marriages based on love rather than dynastic, financial or political connections. The so-called “sports” of bear baiting and dog fighting figure in my latest book. 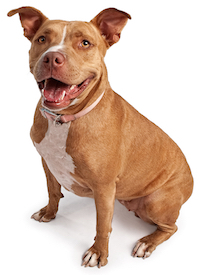 One interesting thing I discovered was the origins of the breed we now know as the pit bull. Bear baiting dogs were often rat terriers, used for their speed and tenacity. However, as these dogs were often injured, men began to cross them with bull mastiffs. The result was a fast, tenacious dog with muscles. Despite their reputations for aggression and ferocity, by the Victorian age they were found to be the very best dogs to look after children. They were gentle and loving with children whilst fierce defenders of those children should anyone attempt to harm them. They were called the “nanny” dog well into the twentieth century. I play the bassoon, which my late Aunt Deliradale called the “bazooka” because she could never remember bassoon. You mean besides Pride and Prejudice? 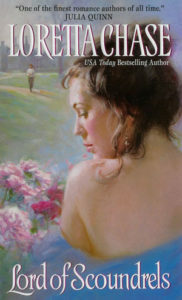 I have a number of all-time favorites, but at the top of the list is Lord of Scoundrels by Loretta Chase. Never has a hero had so far to come and never has a heroine been so equal to the task. My heart ached for Dain, even when he was being an idiot and a beast. And I cheered for Jessica from the moment she stepped onto the page. How many heroines do you know who will go so far as to shoot the hero, in a spectacular fashion, to save him from himself? When Adelaide Formsby-Smythe insults the Duke of Selridge to the point she sees her own murder in his eyes, her wish that the ground would open up and swallow her seems a perfectly reasonable response. Until it does. Thus, Major Marcus Winfield, now the Duke of Selridge, ends the worst year of his life by falling into an underground cave with the younger sister of his former fiancée. An offense punishable by—marriage! Although he never imagined marrying Adelaide, Marcus decides they will limp along quite well together. There’s no need to mention he’s being blackmailed… or that his irritating new wife fills his nights with a passion he cannot deny. 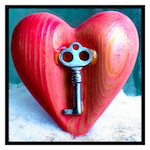 Adelaide, however, having unexpectedly married the man of her dreams, will settle for nothing less than her new husband’s heart. She’ll make him love her. Far less bothersome that way when she has to tell him she’s a thief. And possibly a murderess. AFTER ALL, EVEN THE ROAD TO FOREVER HAS A FEW BUMPS ALONG THE WAY. There are those who say romance novels are fairy tales written for grown women. I happen to like fairytales. One of my favorite Broadway musicals, Cinderella, is based on a fairytale. 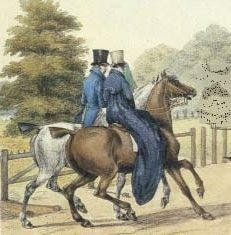 Through the pages of romance novels, I have played pall mall with the Bridgertons. I have had tea with the very high-in-the-instep Bedwyns. I’ve plotted with the Desperate Duchesses and giggled with the Wallflowers. I have loved it all so much that I decided to try my hand at writing some “fairytales” of my own. I have wanted to be a writer since I was nine years old. A career as an opera singer – a tale of adventure in itself – and the twists and turns of life have taught me that fate and love are the two most powerful forces in the universe. I’ve sung opera in Salzburg. I’ve lived in a small English village. I’ve been a teacher, a veterinary technician, and a funeral home coordinator. Now I manage a bakery. I create confections to help people celebrate those moments in life that bring us all joy. Through it all I’ve seen my share of villains and ogres, frogs and princes, heroes and heroines. This much I know to be true. None of life’s characters are ever what they seem. Everyone is something more, and something less. Love is the one thing that lays our souls bare to each other. Love creates the only real beauty in the world. For a long time, reading fairytales was enough for me. Then I had to write them, because there are stories in my head that simply must be told. and now I’m going to immerse myself in Number One London!